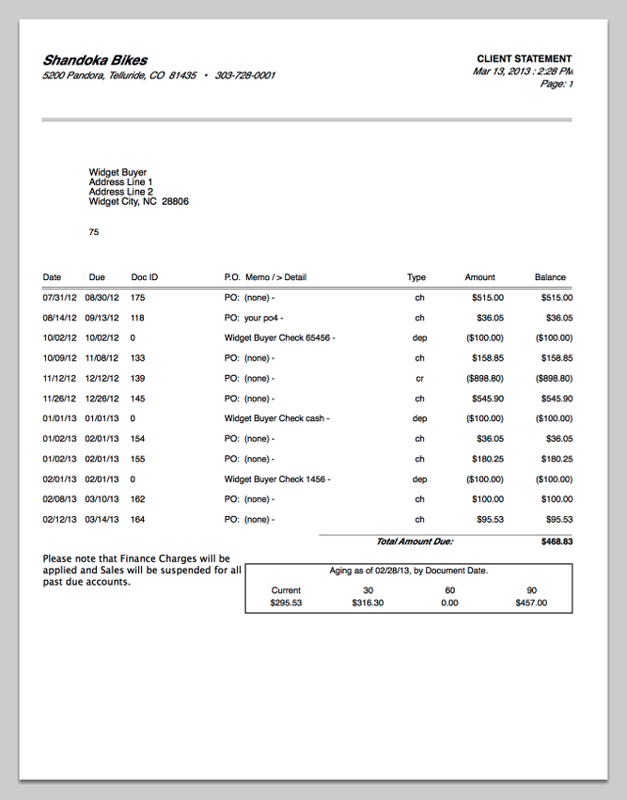 The Client Statement is an effective tool for communicating with Clients regarding amounts owed, including currently open items and historical items that have been paid in full. 1. Open the Clients window. Navigate to Sales ➤ Clients (or Sales ➤ Sales Master). 2. Determine the Clients to send AR Statements to. 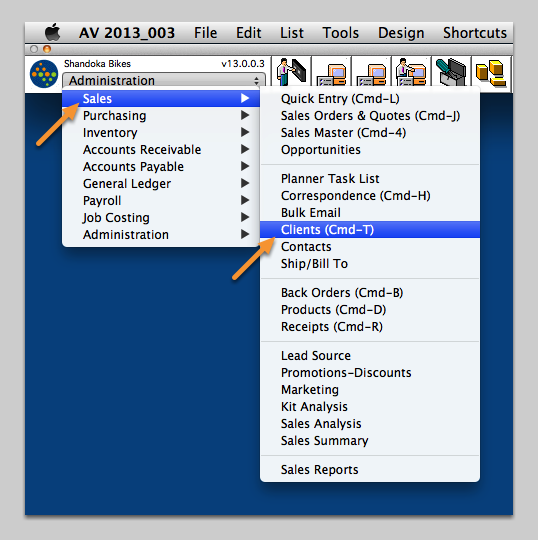 Open the Action Menu and select Email Client Statement to send the statement via email. Zoom: Determine the Clients to send AR Statements to. 3. 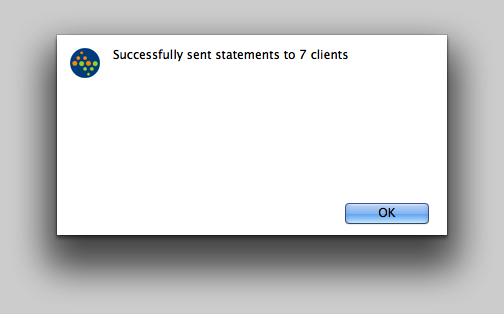 Print the Client Statements. 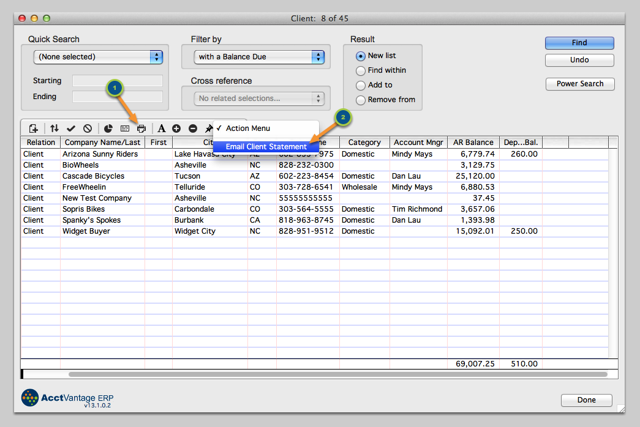 Select your Client Statement from the list of Available Reports and click the Print button. 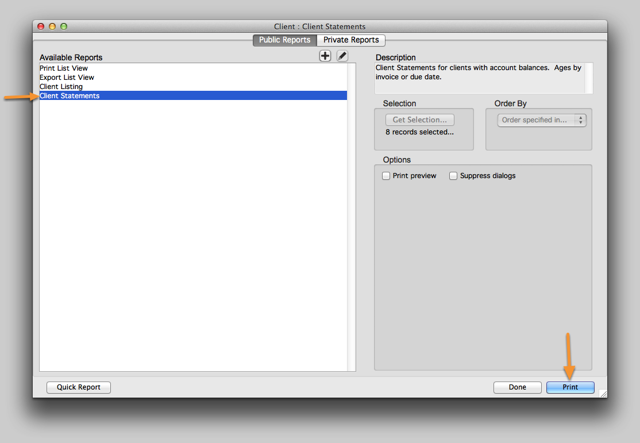 Zoom: Print the Client Statements. 3.1. Enter the Statement Specifications. Age By: Aging can be calculated either by Invoice Date or by Due Date. Report As Of: By default this will be the current date. Enter any date in your history to produce a historical aging Statement. The statement will be accurate as of the date indicated. Any transactions after the As Of date will not be included on the Statement. Show historical items paid in full: Displays closed as well as open items on the Statement. 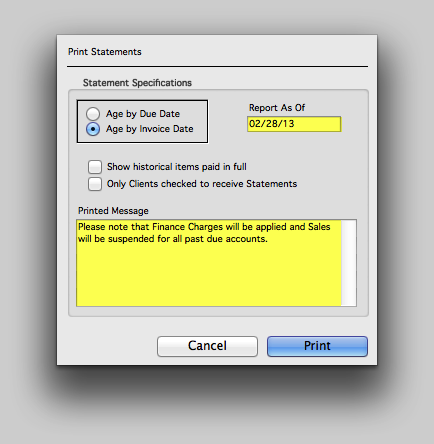 Only Clients check to receive Statements: Only Clients who have the Send Statement box checked on their Client record will receive a Statement. 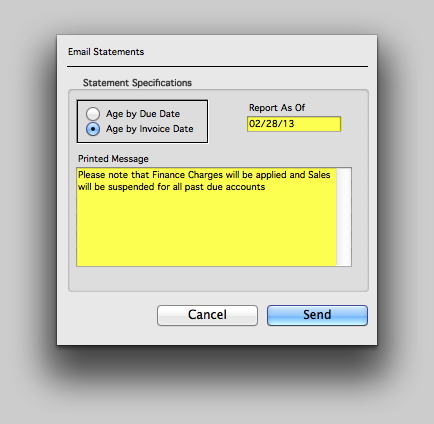 Printed Message: You can enter a message into this area that will appear on the Statements. 3.2. 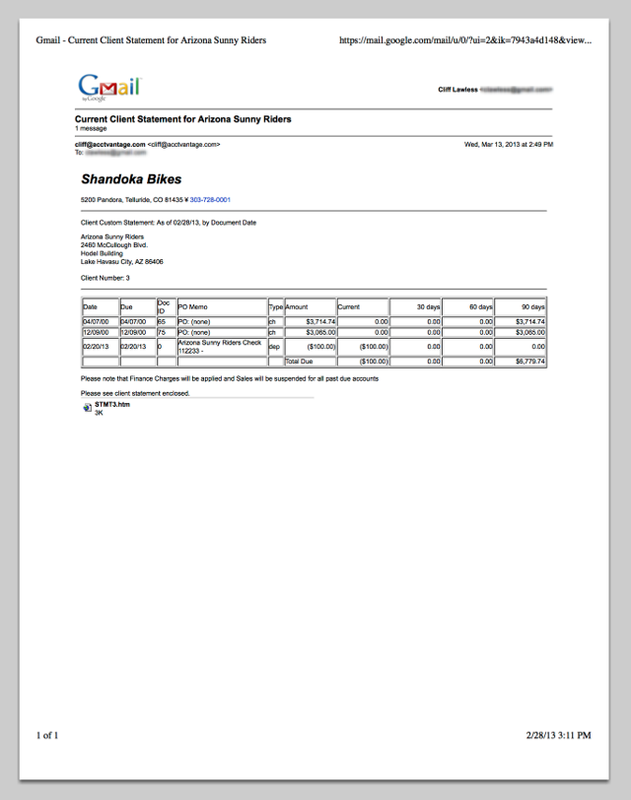 An example of a printed Client Statement. Confirm that Statements will be emailed to the selected list of Clients (as long as they have an email address entered on their Client record). 4.1. Enter the Statement Specifications. 4.2. Successfully sent statements to clients. 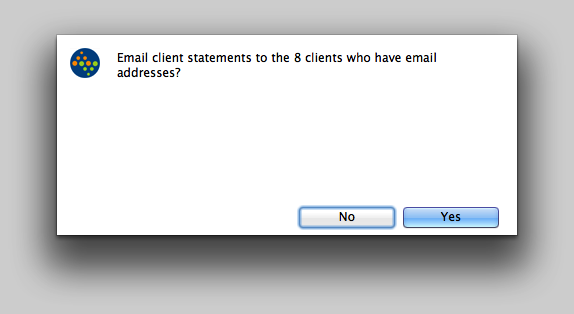 This dialog will appear when the Client AR Statements have been emailed. 4.3. An example of an emailed Client Statement.